Elephant fish taken at Birdlings flat by Ian Robertson on crab or crayfish bait. This is the best bait for rig and elephant fish and makes a big difference when it comes to catching these species. 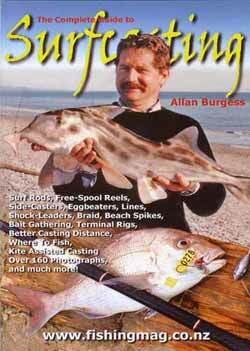 Surfcasting bait is a very interesting subject. Different baits are used to attract different species. 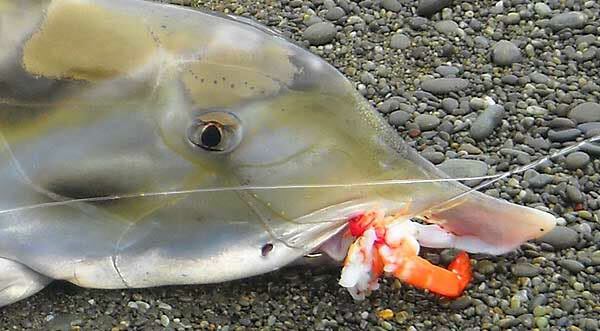 Rig sharks and elephant fish are regularly caught by surfcasters who target them using either crab or crayfish as bait. These two species are certainly much more likely to take these two baits than they are cut fish baits or squid. Some anglers are also successful taking elephant fish on tua tuas and pipi. I was sceptical about this for many years having caught both species on yellow-eyed mullet and squid. However, I am now convinced that crab and crayfish tend to attract quite different species to your hook than would otherwise be the case. Several top surfcasters I know swear by these two baits. I know for a fact that they each catch a lot of rig and elephant fish. Kahawai taken at Mokihinui’s Gentle Annie Beach north of Westport in mid-December. Photographs courtesy of Ian Robertson. Another tip for targeting rig is to not only use the crab baits but also to start fishing for them when the water is still very dirty following a southerly blow. They reckon the rig come in close to shore after the bottom has been stirred by big breakers to collect the easy pickings released from the seabed. As if to cover all the bases some top surfcasters also fish with cocktail baits which are a mixture of two, three or even four different baits all on the same hook. For example try squid, crayfish legs, and tuatua all on the same hook. This is a good strategy when fishing in a surfcasting contest as well. It gives you the best possible chance of catching something. 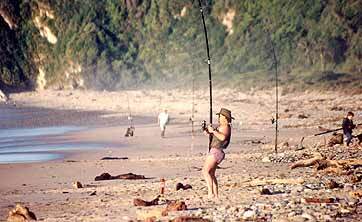 If you catch a fish in most surfcasting contests you are in with a chance of winning a prize. On the subject of fishing surfcasting contests over the summer holiday period, it is important to keep changing your baits for fresh ones if you aren’t getting any bites. Some people hook on a piece of frozen squid and toss it out. After 30 minutes, or more, they wind in. If the piece of squid it still on the hook they cast it back out again for another 30 minutes or more. If this sounds like you don’t do it. After a while, all the juices will be washed from the bait and its effectiveness at attracting a bite will be greatly diminished. It is better to change over to fresh bait every 15 minutes or so. Even if you are using squid a fresh piece will be so much more effective! 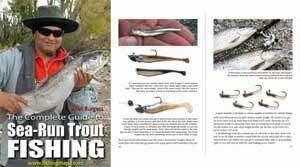 The ideal method is to have a second rig sitting on the beach already baited up and with a sinker connected. The moment you wind in your rig simply switch them over and cast back out immediately.